Clare found the support she needed! Posted on May 25, 2018 at 9:23 am. 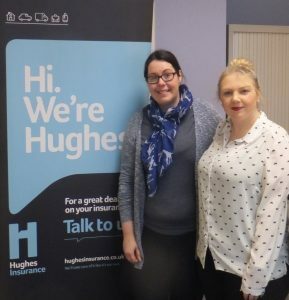 Clare Herrington is a Customer Service Advisor in Hughes Insurance and had been off work for several months due to being mentally unfit to work. After speaking to her manager about the issues she was having, her manager set about finding a way to best support Clare and to help her get a better understanding of mental health. Nadine Donaghy, (Branch Manager) commented, ‘Clare had been off for several months suffering from depression and anxiety. As a company, we wanted to do something to support her in her work and with help from our HR team, we were able to source SES. Since SES has started to support Clare, I have noticed a significant improvement in her performance in our branch. Not only this, but Clare’s confidence has improved and she is getting involved in more aspects of working life, coordinating activities in Promoting mental health awareness across the organisation.